Living rooms can often be needed to be made into multi-purpose areas – especially after children come along. This post is intended to give you some ideas of how you can make a living room space into a place that is suitable for children during the day and then suitable for adults at night! There is nothing less relaxing than feeling like you’re sitting in a toy shop, but not all of us are fortunate enough to have space for a separate playroom – and as such your living room needs to serve the functions of these AND still manage to be a clean, tidy & relaxing haven in the evenings. So what to do? 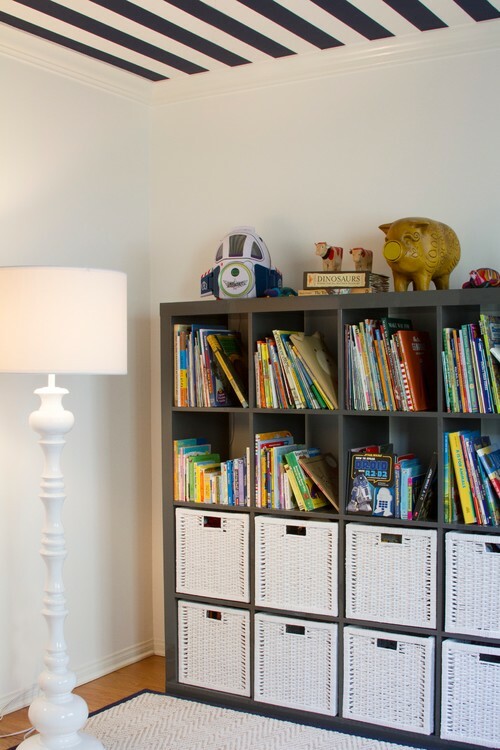 Antics Land wanted to give you some ideas for solving this dilema & creating a truly multi-purpose space that works equally well for kids as well as adults – after all – it is a family home! First you would need to assess the space you have and how much play things you need to store. This way you can have a rough idea of the type and size of storage you should look for. In a playroom it’s perfectly reasonable to have storage that is bright, open and fun to look at – as you are looking at making that into a kid friendly space – but when looking at storing kids toys in a living room, we shouldhave a slightly different specification. You will want to have storage that can hide the toys away at night, that can easily be accessed by your children, as well as blend into your current living room furniture. Baskets – large wicker ones, smaller ones in different colours, trunks etc…. I love using large wicker trunks as coffee tables or along a wall for extra seating (add cushions!) as they allow loads of storage for toys, are really easy to open for children, and look great in a lot of different styled rooms – you can get great ones from IKEA. Another way to use baskets is within shelving – to contain smaller toys together so that you can find everything easily. This would work really well for toy cars, dolls clothes, lego etc…. If you don’t like the wicker basket look, or if you also want extra storage – then why not consider a storage coffee table? A lot of living rooms that double up as playrooms avoid coffee tables as they can get in the way of playing – but having a flat surface to play board games, draw on etc, they can be a really good addition to the room, and you can keep loads of toys in the storage underneath as well. TIP – if you are worried about sharp edges and little heads banging on them, then you should look at storage footstools as this offers a pretty flat surface, storage, an extra seat, and if you add a large tray on the top you can use it for a coffee table as well. There are loads of coffee tables/footstools out there that offer both functionality and practicality in terms of storage. Whatever the look and feel of your home you can find something to suit – and the beauty of this is that you can simply put all the toys in there at the end of the day and it’s all hidden away – perfect! Many UAE apartments have alcoves somewhere in the living space, so you may as well maximise their use with some well planned storage! Getting built in storage here is a worthwhile expense as you can use all the space you have available and get it exactly how you want. 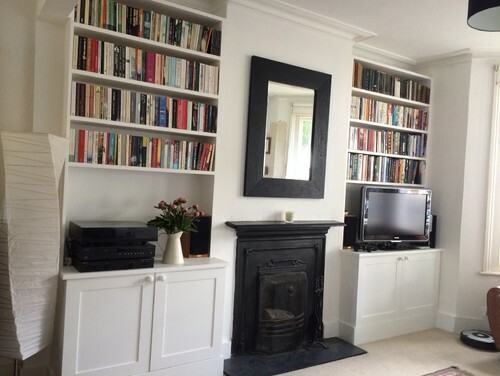 I like the idea of layout in the above picture because you get some open storage for books and objects, but lots of closed storage that toys can hide behind so that they are completely accessible to children, but out of the way when it’s the evening. I love the idea of a built in window seat in a bay window – with lots of storage underneath – and this would make a great place to sit and read for little ones too. Most of us have our sofas tight against the wall – usually because the living room can feel small otherwise. However, if you do have a little more space – look to move the sofa out a little and then you can house toys behind it more easily within some plastic wheeled storage boxes! Most living spaces have a sideboard and/or a bookcase – and why not use these for storing toys out of the way. I recommend having the lower portion of a bookcase for toys so that they can be easily grabbed by the children but PLEASE secure the bookcase to the wall, so that there is no chance of it toppling over etc..
We hope that these storage ideas for toys have been useful to ensuring that you make the most of your multi-functional living room. Do you have your kids toys stored in your main living room? What do you use to keep it all tidy? Let us know in the comments section below, we would love to hear from you!